The Westpac Northland Business Excellence Awards for 2017 took place at Forum North on Friday 27th October. Businesses from throughout Northland submitted 42 unique entries across 5 business categories, 7 ancillary categories and an overall supreme winner. 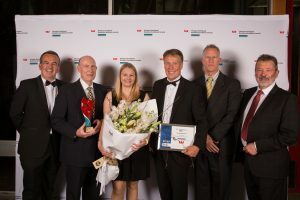 Northland Emergency Services Trust was the Supreme 2017 Westpac Northland Business of the Year and was also the winner of the Top Energy Best Not-For-Profit Organisation Award, the GBC Winstone Excellence in Business Medium Business Award and was the joint winner of the ACC Workplace Safety Award. “Strategic focus and commitment were the key factors making NEST this year’s Supreme winner. Evidenced through strong governance and highlighted by the business case for additional helicopters, stakeholders at all levels are aware and contribute to the organisation’s common goals. This was the 40th year of the Award’s existence and Tony Collins from the NZ Chambers of Commerce Northland said that it was great to celebrate not only the winners but all entrants for the passion they show to their business aspirations and their pursuit of excellence. The standard continues to get better every year and no matter what the size, structure or nature of the enterprise, they were all committed to making their business a success. Level – winner of the Business Coaching New Zealand Best Emerging Business Award. Continental Motel, Good Eggs Ltd and Strength & Soul were finalists. Sarahlee Studio – winner of the Ricoh Northland Excellence in Micro Business (1-3FTE) Category. Memory Lane and Live Wire Media were finalist. Three Hairdressing – winner of the Henderson Reeves Excellence in Business Small Business Awards (4-9FTE). Finalists were Northern Benchtops and Energise Web Design Ltd.
Northland Emergency Services Trust – winner of the GBC Winstone Excellence in Business Medium Business Award (10-24FTE). Dive! Tutukaka were also a finalist. 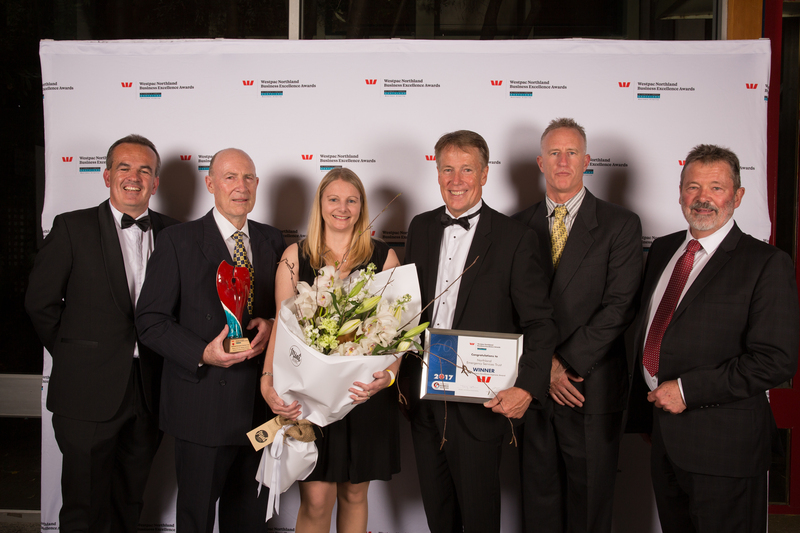 Ten4 Transport Engineering – winner of the Vodafone Excellence in Business Large Business Award (25 plus FTE). Waitangi Treaty Grounds and Northland Scaffolding Ltd were finalists. Northland Emergency Services Trust – winner of the Top Energy Best Not-For-Profit Organisation Award. Waitangi Treaty Grounds were also a finalist. Waitangi Treaty Grounds – winner of the Northland Regional Council Sustainable Business Award. Ohaeawai Community Education Trust and Northern Benchtops were finalists. Northland Emergency Services Trust and Dive! Tutukaka –were joint winners of the ACC Workplace Safety Award. Northern Benchtops, Ten4 Transport Engineering and Good Eggs Ltd were finalists. Memory Lane – winner of the Creative Northland Excellence in Creative Industries Award. Sarahlee Studio and Level were named as finalists. Dataphyll Ltd took out the Northland Inc Innovation Award. and Donovan Group NZ Ltd and Lynwood Avocado Nursery were highly commended. Ohaeawai Community Education Trust – winner of the People Potential Judges Choice Award. Luke Bird Entertainment was a finalist. Uber Group Ltd was voted winner of the More FM Customer Choice Service Provider Award and Mint Floral was the winner of the More FM Customer Choice Retail Provider. The Northern Advocate Business Hall of Fame inductee this year was the Prosper Northland Trust in recognition of their contribution to Northland business.